Quite a bit has happened since my last post. My tasting group met and we each brought a Pinot Noir from 2 different hemispheres. 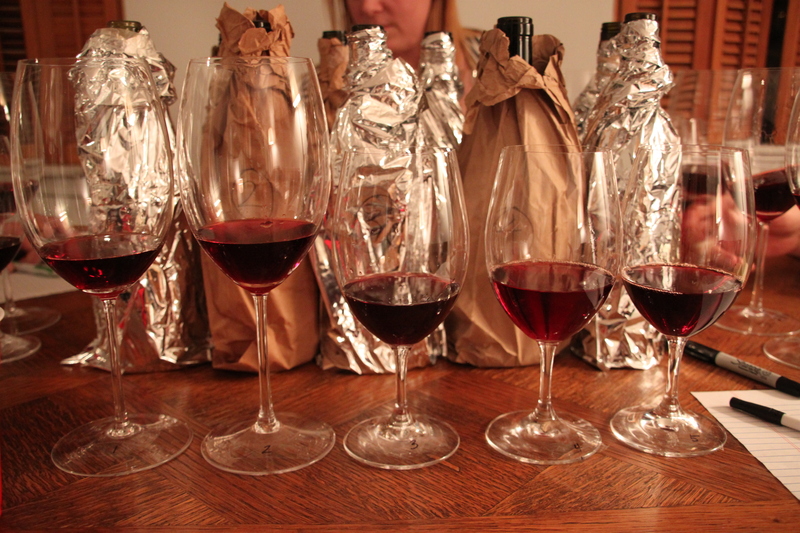 We ended up with Pinots from California, Burgundy, Switzerland, Italy and New Zealand. A few folks had the same idea of bringing Pinots from Central Otago because it is the most southerly wine region in the world. Even with a Premier Cru Burgundy in the mix, the group favorite was a 2006 Staete Landt from Marlborough, NZ. As per usual, Chris cooked for us. 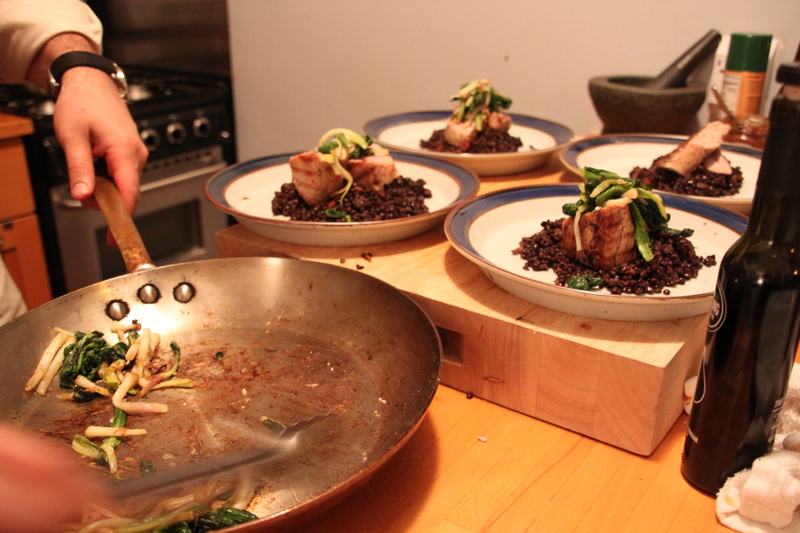 Grilled pork tenderloin with beluga lentils, bacon and ramps. We thought the dish was a good representation of our spring - a lot of brown with finally some green coming through! Noah and I went upstate for Easter weekend to visit friends and family, and more importantly, to bring our vanagon back to NYC. 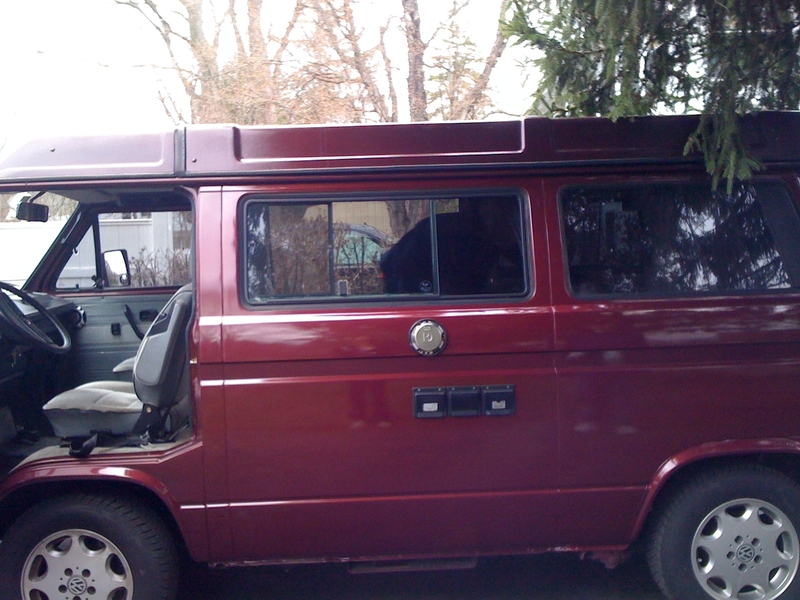 A new transmission, body work to remove the rust spots, and a winter spent in a garage - she's like new and ready for the 2011 camping season! On April 23, 2009, I posted my first entry here at A Thirsty Spirit. Thanks to all of you who are still reading. Tomorrow, I’m off to Australia. As promised, I’ll have plenty more to say about Wine Australia’s Sommelier Immersion Program. Hopefully, I’ll be able to avoid any situations like this.